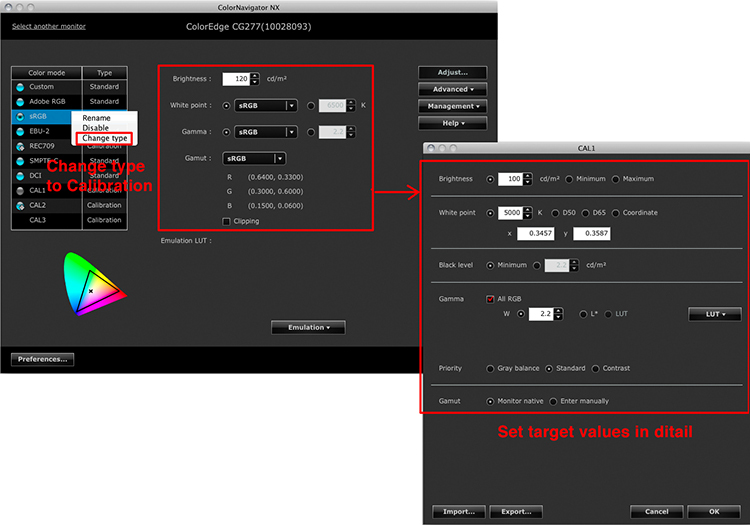 ColorNavigator NX offers quality control (QC) and asset management of client ColorEdge monitors. It covers calibration, emulation, built-in sensor correlation, and color mode setting. This software is most effectively used with EIZO’s ColorNavigator Network solution to allow an administrator to perform QC operations on all ColorEdge monitors from a central location. Calibration information is saved to the monitor and retained when connecting to another PC. 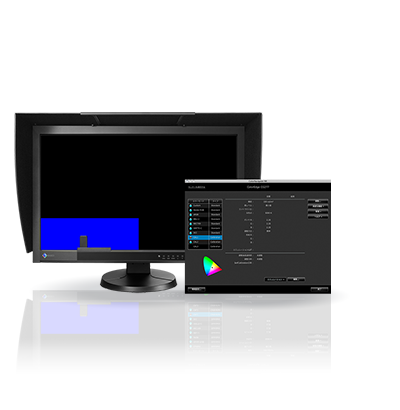 To suit the needs of a specific project, you can manually change the brightness, gamma, and white point settings of the monitor’s preset color modes such as Adobe RGB and DCI and calibrate to the new values. In addition to preset color modes, calibration modes are available with each input connector. Just set the desired values for brightness, white point, black level, and gamma and then calibrate. 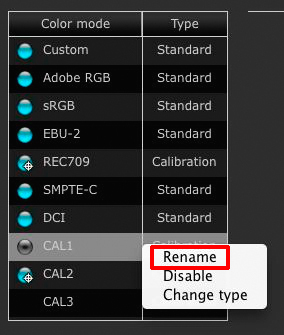 You can also change any preset color mode into a Calibration mode and set the target values. Schedule your monitor to self-calibrate (CG series) or self-correct (CX series) automatically at an interval of your choosing or after a specified number of usage hours have elapsed. 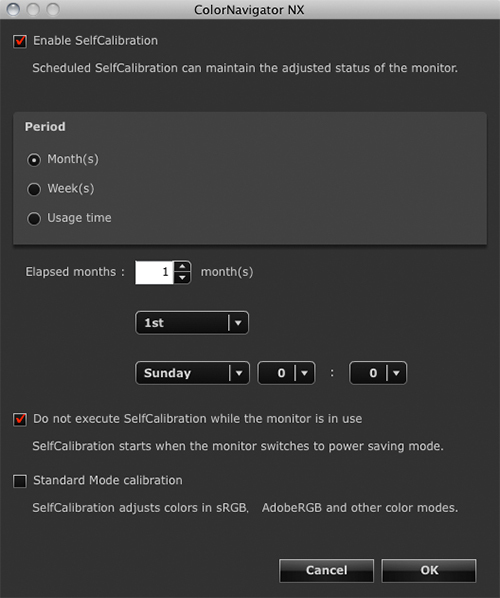 Import/export monitor settings including color modes, self-calibration scheduling, and key lock settings. This functionality allows an administrator to set up multiple monitors easily. Settings can only be shared among the same models. Give your color mode its own name to avoid confusion about which one to use for a specific project. You can also prevent accidental use of color modes by disabling ones you do not need for your current projects. 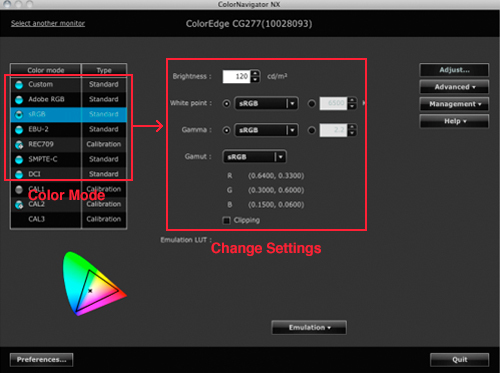 ColorNavigator NX creates emulation data from the 3D LUT (look-up table) file of the color grading system’s motion picture film. This is available with the monitor’s color modes and is ideal for matching the legacy look of film. 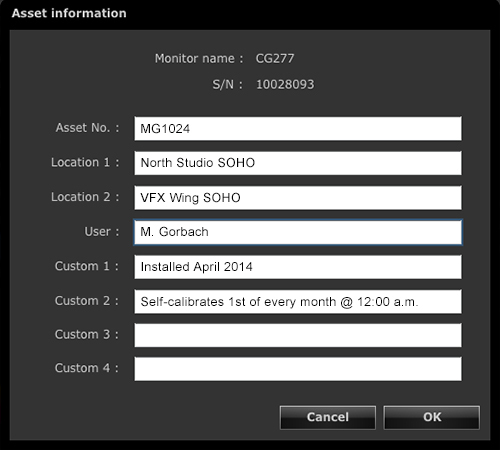 Save asset management information to the monitor. Available functions vary by model. See the details in the list. 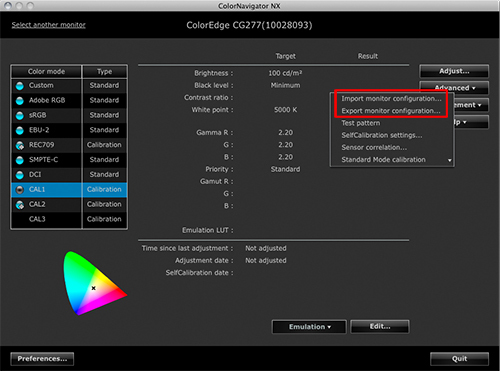 The latest version of ColorNavigator NX is available for download. To learn how ColorNavigator NX differs from EIZO’s other solutions – ColorNavigator, ColorNavigator Elements, and EIZO EasyPIX, see this comparison chart (PDF: 90 KB).